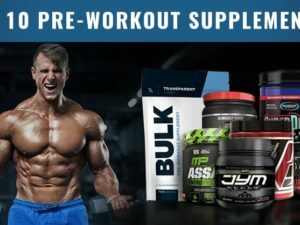 Pre Workout Supplements: What are they and what do they do? Home Pre Workouts Pre Workout Supplements: What are they and what do they do? This is what you want to read before you buy your first pre workout supplement. Once you start going to the gym, it doesn’t take long before you learn about the cult-like obsession known as pre-workout supplements. From gym beginners to world class athletes, everyone is taking this stuff (1)(2). Afterall, who doesn’t want an edge? But what exactly are ‘pre-workout supplements’ and should you even be taking them? God forbid you take the wrong one and end up as the next disastrous gym meme. Here we’re going to explain everything about pre-workout supplements: what they are, what they do, and if you should be taking them. Pre-workouts supplements are specially designed performance formulas made to be taken before exercise (hence, [pre] workout supplement). Why go to the gym tired when you can drink something similar to an energy drink or coffee before hand to pump you up (3)? Alas, pre-workout supplements are a hit. What are pre-workouts supposed to do? A pre-workout supplement’s primary objective is to increase your energy and make you ‘want’ to lift. Afterall, this is the most human pain-point holding both men and women back from hitting the gym consistently. How do pre-workouts increase energy? The most common primary energy ingredient in pre-workout supplements is caffeine (4). However, the end goal is always to increase and maintain your energy levels for the duration of your workout. But be warned: many supplement companies over-dose caffeine in their pre-workouts (5). This is to make their supplement ‘feel’ more powerful than competing brands, and with chronic usage, makes you dependent to high caffeine supplements which drains your adrenals. We prefer the 150 to 200 mg range for our pre-workouts, alongside powerful endurance, strength, and recovery ingredients. Obviously if your pre-workout supplement isn’t well-rounded, your going to crave more caffeine; but with the right full-spectrum supplement, this health-conscious dose of caffeine will out-perform any uber-stimulate of the week. Who doesn’t want to increase their strength faster? Well, there are some pre-workout friendly ingredients that can do just that. The most common strength enhancing ingredient is creatine, and there are two ways you can take it. Option 1: with your pre-workout. If this is what you prefer, then opt for 2.5 grams creatine hydrochloride which dissolves easily. Option 2: after workout. 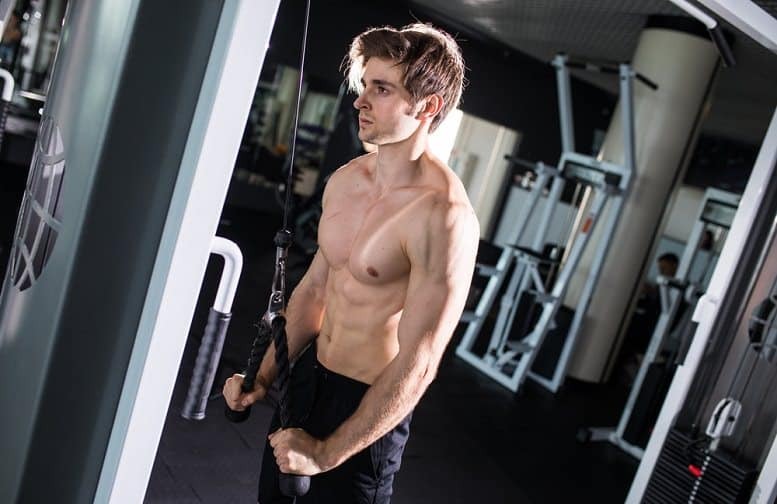 If you’d rather take creatine afterwards, opt for 5 grams creatine monohydrate which is the most respected form of creatine, though it doesn’t dissolve effectively with a large pre-workout blend. Creatine is the most notable ingredient for increasing strength and explosive power. However ingredients like caffeine, and the endurance boosters below can effectively increase your ability to maintain strength and explosive power overtime to perform maximally till the end of your workout. People that take quality pre-workout supplements tend to workout harder, and for longer (6). Without a doubt, this is our favorite ingredient for boosting endurance. 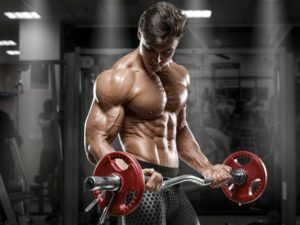 The l-citrulline in l-citrulline malate increases circulation to deliver more nutrients and oxygen to muscles, while the malic acid (malate) directly feeds energy into muscle cells. The combined result makes l-citrulline malate one of the best ingredients to take before a workout. Your initial response to beta-alanine is likely to be the most memorable! That’s because beta-alanine in proper dosages can cause a flushing/tingling of the skin. This is most predominant in the face! But don’t freak out, this is totally normal. And this small tingly price comes with the benefits of increased endurance and recovery when taken consistently over time. Beta-alanine is one of the most advantageous supplements an athlete can take. We recommend you learn more about the benefits of beta-alanine here and why most pro-level players take it. BCAAs are 3 of the essential amino acids: l-leucine, l-valine, and isoleucine. Compared to other amino acids, these 3 demonstrate the most anabolic and performance-related properties. Unfortunately, BCAAs are subject to a lot of over-hype and over-promotion. Many supplement companies tell you to basically take them all the time. However, when and how much BCAA you take matters a lot. It also appears that consistency over time matters for getting the most out of this ingredient. 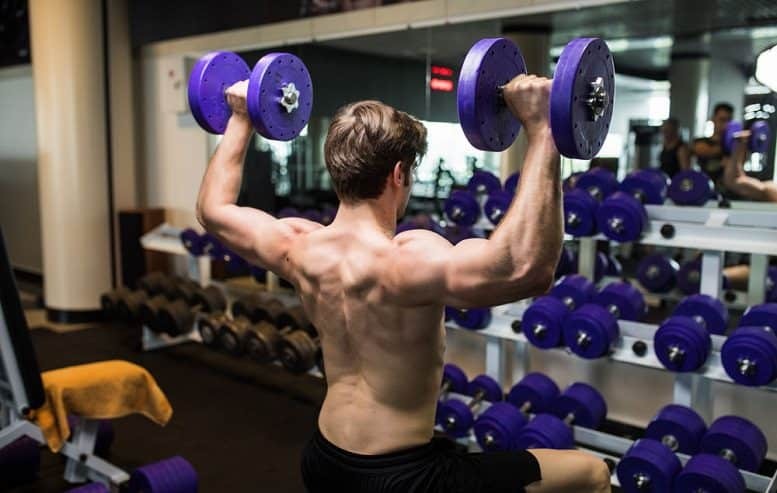 To fully understand branch chain amino acids and why you should take BCAA powders read this. Every single ingredient listed above also happens to improve your bounce-back between sets. The bottom 4 also increase your post workout recovery when dosed properly. Though, you’re still going to want to eat-to-recover with whole foods and high-quality protein. If you have the desire to increase your energy and performance before workout, then yes. But you are going to need to be a smart consumer. If you only want an energy boost, then pre-workout selection is easy; just make sure it contains a caffeine dosage that works for you. However, if you would like to increase performance as a whole, then your options are far more limited. For instance, most pre-workout formulas are under 10 grams in weight, however proper dosages of all the ingredients we mentioned above adds up to roughly 16 grams. This is exactly why we made our own top 10 ranking to help you choose a high-quality pre-workout that you can count on. Who shouldn’t take a pre-workout? If you have a heart condition, irregular blood pressure, a thyroid condition, or any other health condition, you should avoid pre-workouts. Likewise if you are not advised or able to perform intense exercise, pre-workouts aren’t a good idea. Pre-workout meaning: This is simply the time before exercise: pre (before) + workout (exercise). So, pre-workout supplement simply means a supplement you take before working out. What does pre-workout feel like? The closest comparison to how a pre workout feels, would be an energy drink. Pre workouts typically make you feel energized and hyper. Why does pre-workout make me itchy? This is caused by either beta-alanine or niacin. Both of these cause stimulation of nerve endings which isn’t dangerous. Why does pre-workout give me a headache? Pre-workouts may cause headaches in some people for two reasons: either you are dehydrated or you are taking too much caffeine. Why does pre-workout make me need to poop? This is an effect from caffeine. The same ‘stimulation’ happens from drinking a cup of coffee. Basically, caffeine causes your intestines to get a little more active. Why does pre-workout make my heart race? This is another effect that can be caused by caffeine content. Too much for your particular tolerance can cause your heart to race / pound/ flutter. Also, ingredients like Yohimbe can affect heart rate. Can I take pre-workout with protein? Technically you could, but it will most likely make you throw up once you start exercising. So, don’t do it. Save your protein for post workout. Pre-workout supplements can be the best products for improved athletic performance and muscle strength. You should pick the right product for yourself. Will pre workout effect my high blood pressure? Yes, stimulants typically raise blood pressure. Some stimulant-free pre workouts on the other hand may lower it, but we’re not comfortable making recommendations in place of a doctor. Let us know what you learn! Really helpful. I understand now. Thanks!